Worried about how to fix or program your hearing aids? stop working like they used to? Or, maybe your hearing aids have never really worked the way you needed them to. Either way, if you are having issues with your hearing aids, we are here to help! If you think your hearing aids need repair or even a thorough cleaning beyond just the basic cleaning you generally do at home, please give Sound Hearing Care a call! If you are experiencing issues with your hearing aids, you probably want to get them fixed right away. We can make simple repairs and reprogram old devices in our office so you can quickly be in and out in no time. If your hearing aids are severely damaged, then we can also send your hearing aids to the manufacturer for repair. 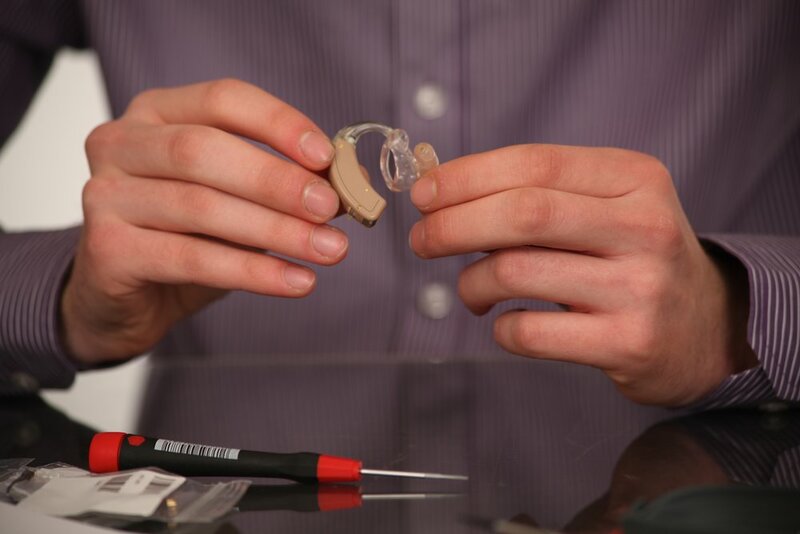 We service most of the major hearing aid brands. We want you to have peace of mind knowing that we will take care of the entire process from sending your hearing instruments to the manufacturer to calling YOU when they are ready for you to pick up. We will even provide you with loaner hearing aids while yours are being serviced! After your hearing instrument fitting, we will conduct a live speech test to GUARANTEE YOUR SATISFACTION! So, don't worry - we are always here to help! Just contact us today! 90 evaluation and exchange period standard on all hearing aid fittings. Loaner hearing aids provided if your hearing aids require factory repair and if there are loaners in stock. When ready to upgrade, you can trade-in your hearing aids and get discount on new purchase. We strive to continuously improve the performance, quality, and value of our products and services through innovation and technological excellence. We will support YOU through the life of your hearing aids and guarantee a higher trade-in value for all future hearing aids!